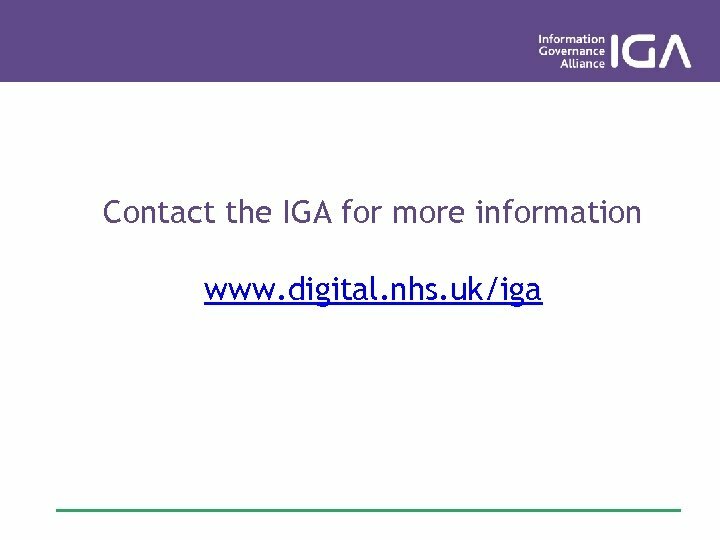 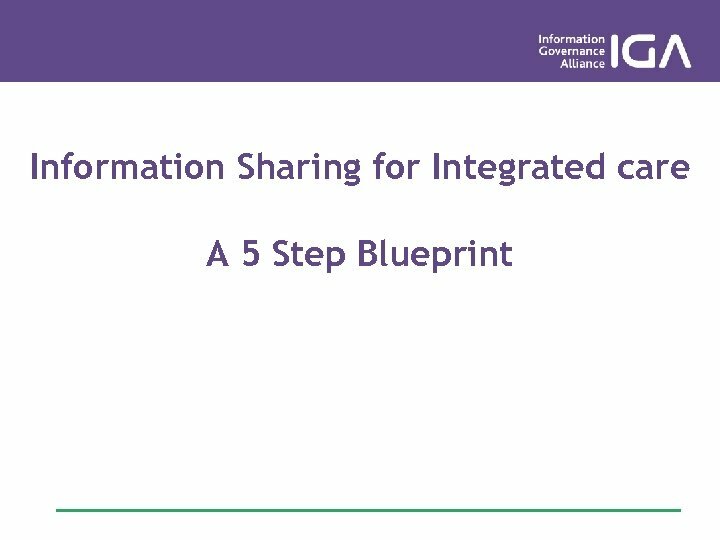 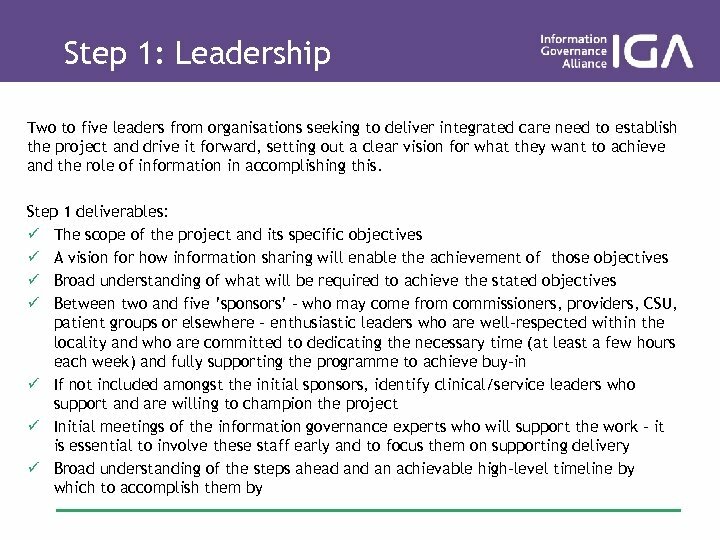 Step 2 Governance/ Principles The Leaders oversee the formation of a wider governance group across providers and other interested parties. 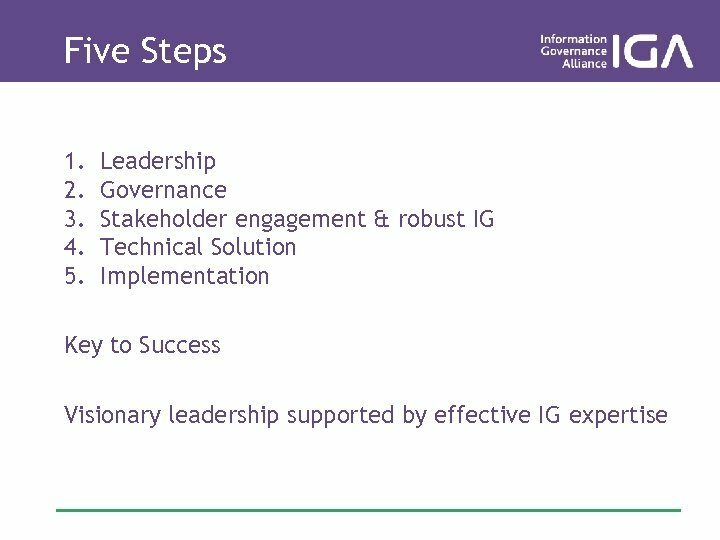 It sets out clear and immediate objectives and a governance structure. 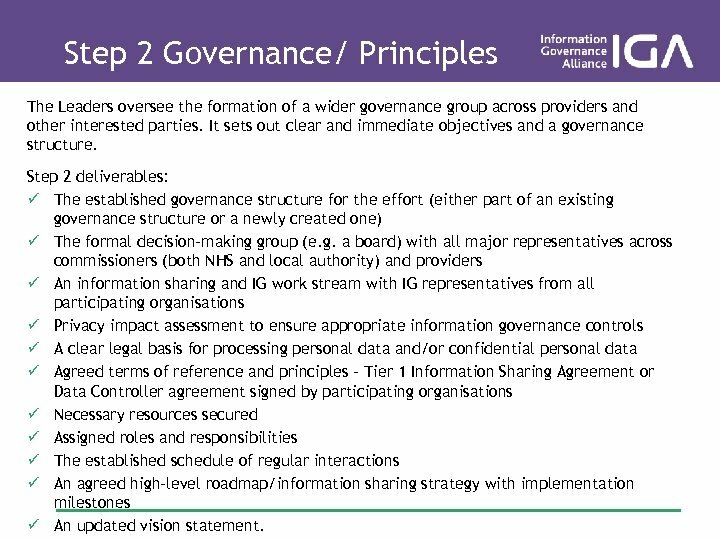 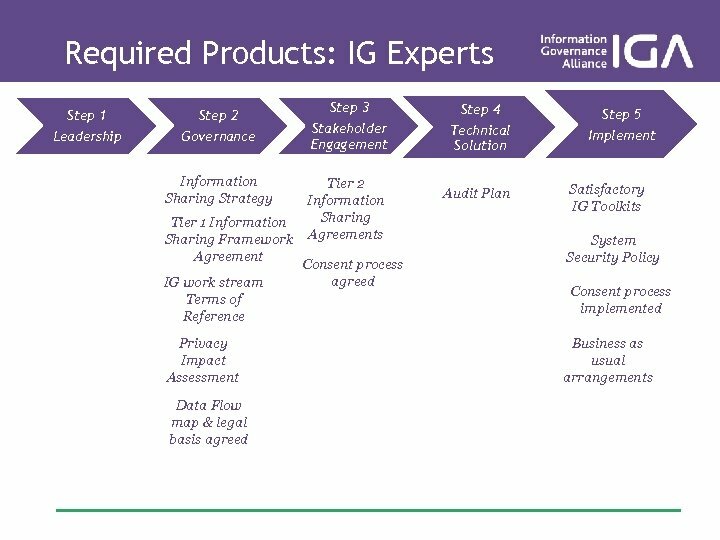 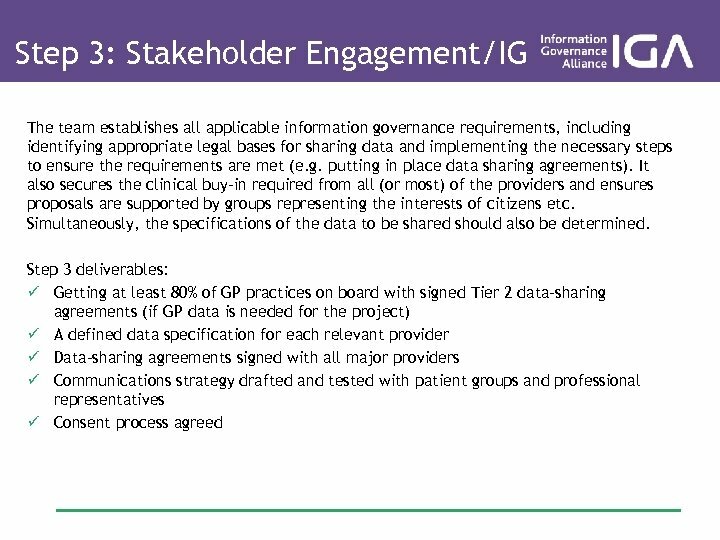 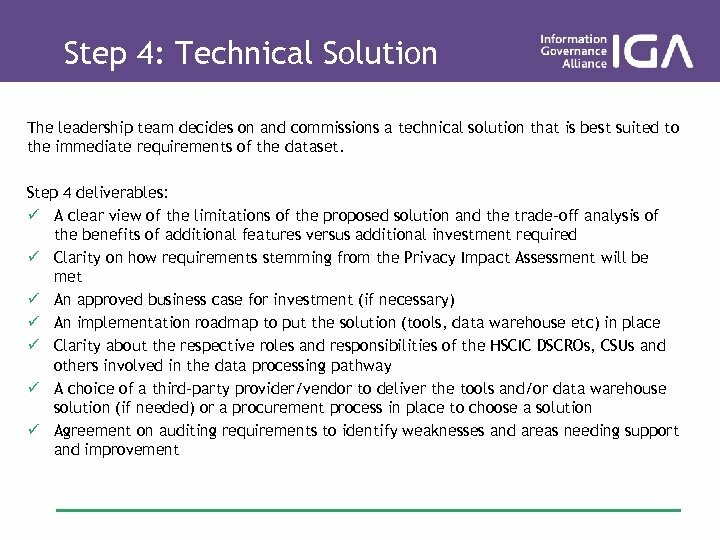 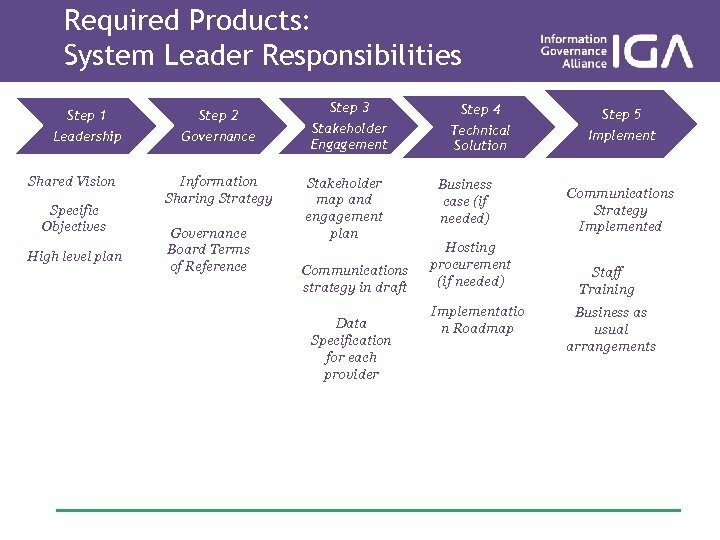 Step 2 deliverables: ü The established governance structure for the effort (either part of an existing governance structure or a newly created one) ü The formal decision-making group (e. g. a board) with all major representatives across commissioners (both NHS and local authority) and providers ü An information sharing and IG work stream with IG representatives from all participating organisations ü Privacy impact assessment to ensure appropriate information governance controls ü A clear legal basis for processing personal data and/or confidential personal data ü Agreed terms of reference and principles – Tier 1 Information Sharing Agreement or Data Controller agreement signed by participating organisations ü Necessary resources secured ü Assigned roles and responsibilities ü The established schedule of regular interactions ü An agreed high-level roadmap/information sharing strategy with implementation milestones ü An updated vision statement.